What Does and Elder Law Attorney Do? 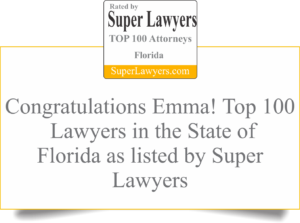 Home » What Does and Elder Law Attorney Do? Elder law attorneys handle a wide variety of cases. Our services range from estate planning for an individual or married couple, where we assist with the drafting of a power of attorney, healthcare surrogate, living will, and a last will and testament, as well as a revocable living trust and a pre-need guardian designation, if they're applicable. For an individual who has someone in their family with a disability, we also assist with the drafting of special needs trusts. Where someone has already lost their capacity, we're able to assist with the establishment of a guardianship, or where an individual with a developmental disability has aged up into adulthood, we can assist with the establishment of a guardian advocacy. On occasion, we are called upon to assist with the avoidance of exploitation for a senior citizen or elderly and vulnerable person, or to try to recover funds from someone who has already exploited such a person. Another aspect of elder law is the protection of one's modest wealth in the event that you're stricken by an illness like dementia or Alzheimer's, or some other chronic condition that might require a stay in a nursing home or assisted living facility. We also assist with the immediate acquisition and qualification for Medicaid benefits, as well as the establishment of veterans' benefits for those who have served in the military.